What's the Best Home Insulation Materials? Choosing the Best Home Insulation Materials. There are many companies out there who will tell you they offer the best home insulation for your situation. But do they really? The biggest issue I find these days is that there’s so much choice with all the different types of insulation on the market and each insulation company would have us believe that theirs is the best. 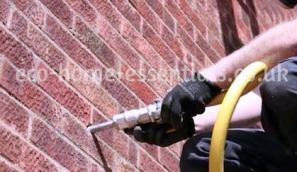 Unfortunately it’s very difficult to list all the different types of insulation available from all the different suppliers, as each of them can make tiny tweaks to their product which will then give different results. So I’ve decided to go back to basics and give you a list of the main types of insulation available with their performance figures. That way regardless of what individual companies do to “tweak” their product you can ask them what the basic material is and you’ll be able to see how that basic product performs compared to others. The figures given below are R-values measured in m².K/W per inch (the higher the number the better the insulation performs). You may also come across R-value figures which seem much higher for the same materials (typically in the range of 1.0 – 8.0 per inch). These are just R-values that have been measured in ft².h/BTU. Basically the same figure just converted into imperial units. You can convert between the two by either dividing or multiplying the figure you have by 5.68. Loose fill vermiculite R-value = 0.38 – 0.42 per inch. 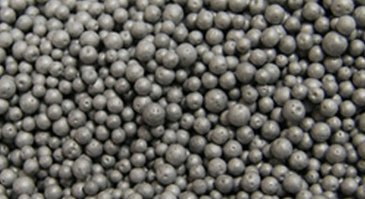 EPS beads (expanded polystyrene) R-value = 0.4 per inch. Fibreglass loose fill R-value = 0.44 – 0.65 per inch. Loose fill cellulose R-value = 0.52 – 0.67 per inch . 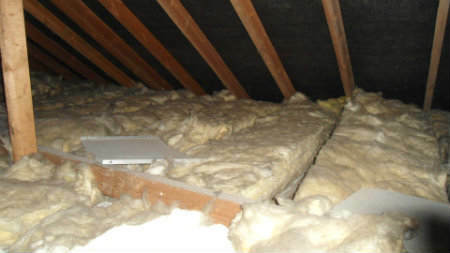 Get more information on blow in insulation here. Fibreglass batts R-value = 0.55 – 0.76 per inch. 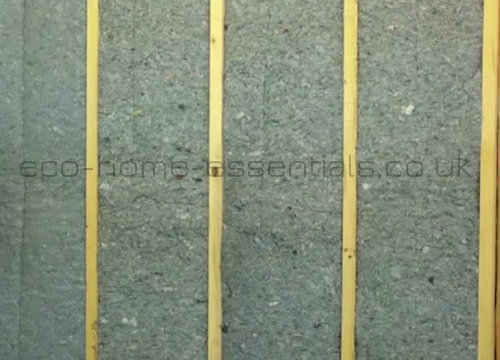 Blue jean insulation(denim insulation) batts R-value = 0.65 per inch. Fibreglass rigid panels, R-value = 0.44 per inch. Extruded low density XPS board R-value = 0.63 – 0.82 per inch. 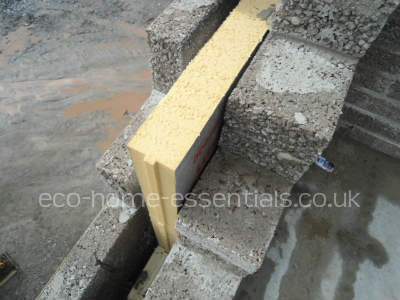 Moulded low density EPS (expanded polystyrene) R-value = 0.65 per inch. Moulded high density EPS (expanded polystyrene) R-value = 0.7 per inch. Phenolic rigid boards R-value = 0.7 – 0.88 per inch. XPS (high density extruded polystyrene) R-value = 0.88 – 0.95 per inch. Foil backed PIR (polyisocyanurate) board R-value = 0.97 per inch (aged5-10 yrs). Rigid Polyurethane foam insulation panels R-value = 0.97 per inch (aged 5-10 yrs). 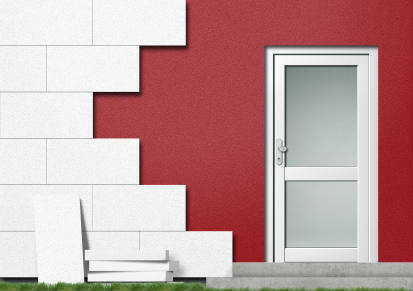 Get more information on rigid foam insulation here. Open cell polyurethane spray foam R-value = 0.63 per inch. Polyisocyanurate spray foam insulation R-value = 0.76 – 1.46 per inch. Spray Phenolic foam insulation R-value = 0.85 – 1.23 per inch. Polyurethane spray - closed cell foam insulation R-value = 0.97 – 1.14 per inch. Get more information on spray foam insulation and DIY spray foam insulation here. *References: information obtained from energy.gov, inspectapedia.com & Wikipedia.com. The figures above should only be used as a guide as different manufacturers of each material may have slight differences to their products which can change the results. However they should enable you to see what the best performing materials are likely to be for your application. When trying to decide on the best home insulation for your particular job you should also consider the available space you have in which to install the insulation as the better performing products will require a thinner cross section but will likely cost more. Don’t forget, these figures are “per inch” so even the materials at the lower end of the scale can be made perform better by simply adding more. For this reason you’ll tend to see the highest performing insulation materials used less often in domestic properties due to their higher cost. Instead many builders tend to go with a thicker application of the lower cost insulation materials, unless they’re restricted by space. For example, if you have lots of space, say in your loft, and you’re not restricted on the depth of insulation you can install. It will be more cost effective to use a thicker installation of fibreglass rather than a thinner section of foil backed PIR board as the PIR board will be a more expensive way of achieving a similar R-value. Alternatively if you’re insulating a room internally and only have say a 100mm gap behind a stud wall to insulate then you’ll need to go for one of the higher performing but thinner and more expensive insulation products like the foil backed PIR board. Hopefully this will give you a better idea of your options regarding the best home insulation for your particular job. Consider the space available and the R-value you’d like to achieve and it’s then just a matter of deciding how much you’re willing to pay. Home Page. › Home Insulation. 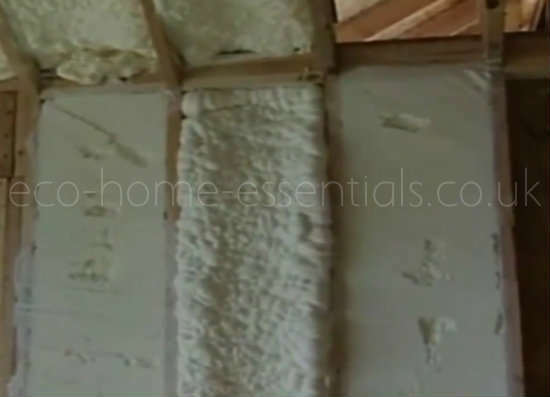 › Best home insulation materials.